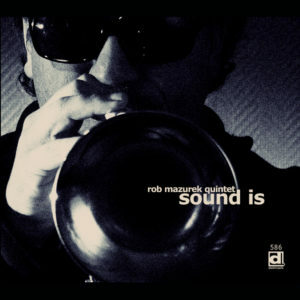 Jazz cornetist Rob Mazurek consistently pushes beyond the expectations of his listeners, drawing together ideas out of sound, personalities out of space, and fusing color and light into the tones of his music. The debut record of this new quintet, featuring John Herndon on drums (Tortoise, the For Carnation), Matthew Lux on bass guitar (Isotope 217, Iron and Wine) Josh Abrams on acoustic bass (Town and Country, Black Earth Ensemble) and Jason Adasiewicz on vibes (Loose Assembly, Rolldown) pulls together an astounding array of personalities into a seamless and effervescent whole. Sound Is features 14 new Mazurek compositions.